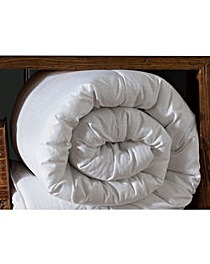 Silentnight Hotel Collection Pillows is rated 4.5 out of 5 by 48. 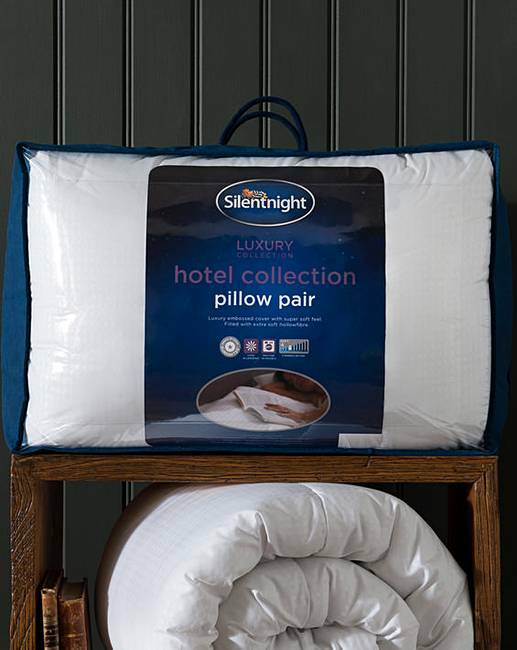 Enjoy luxurious comfort with this pack of 2 premium pillows from Silentnight's Hotel Collection. Non-allergenic, the pillows are encased in a super-soft microfibre cover with an attractive embossed pinstripe design. They are filled with a springlike fibre and provide medium support for a peaceful night's sleep. 48 x 74 x 15cm approx. 1 x Pair of Pillows. Rated 5 out of 5 by Heather65 from Very comfortable Had a great night's sleep with these pillows Would recommend them ! Rated 5 out of 5 by Ma larkin from Best night sleep I wanted a pillow which was not to firm and this one is perfect, it moulds round my neck and plumps up lovely. But do remember to get the right size pillowcase. Rated 5 out of 5 by Alison15 from Love these pillows! My daughter bought these first and recommended them to me and I’m so pleased that she did, I’ve slept really well since getting them. They are fantastic quality, and come in a great storage zipped case. I would never have bought these as I would’ve thought that they would be too soft, but they are supportive and keep their shape. I’ve bought spare in case I can’t get them in the future! These are amazing value. Rated 3 out of 5 by MaggieLT from I like them These are fine for me but hubby says they’re too soft. They are nice and bouncy but aren’t really supportive I guess.